We’re delighted to announce that Exchange Utility has been shortlisted for the Made in Bury Business Awards 2016! Why are The Made in Bury Business Awards important to Exchange Utility? Since our central site launch on Market Street, Bury, we’ve become focused on getting involved in the local community, and what better way to make an impact than getting involved in the Made in Bury Business Awards?! We want to showcase all aspects of Exchange Utility including our success, our commitment to the development of staff and our dedication to keeping our customers happy so that we can let Bury and beyond know that we’re here for them! The Made in Bury Business Awards also provides a fantastic opportunity for us to get to know our neighbours and build stronger connections with other businesses in and around Bury Town Centre. Is Exchange Utility looking forward to the Made in Bury Business Awards? We’re incredibly excited to find out whether Exchange Utility is going to be a finalist in the Made in Bury Business Awards. Thankfully, it’s not long to wait until all is revealed, as finalists will be announced on the 18th October 2016! We wholeheartedly wish all other contestants the best of luck and send our commiserations to those who didn’t make it this far! Fingers crossed for a good result! Want to try an Exchange Utility business energy comparison? 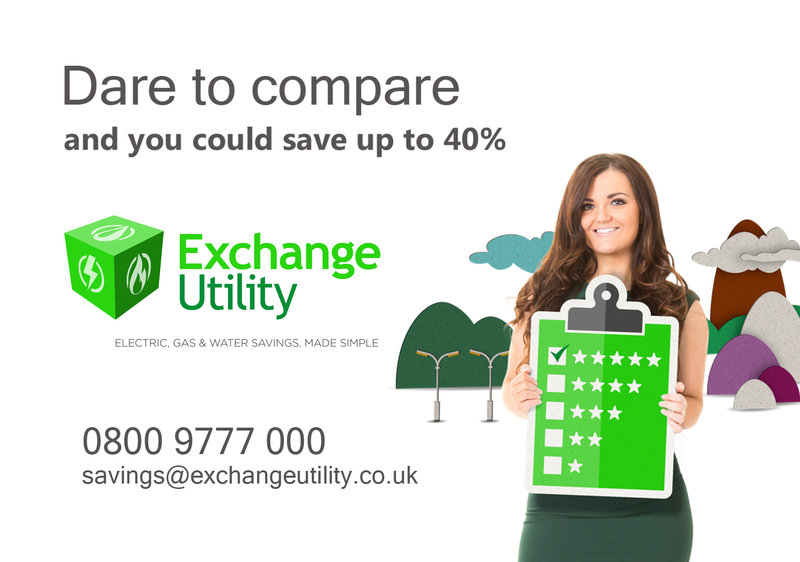 This year, Exchange Utility has already secured awards in the City of Manchester Business Awards and The Energy Live News Consultancy Awards (TELCAs) so why not try a business energy comparison for yourself? All you need to do is find a recent business gas or electricity bill and call 0800 9777 000 or complete our short enquiry form and we will find you a better energy deal.